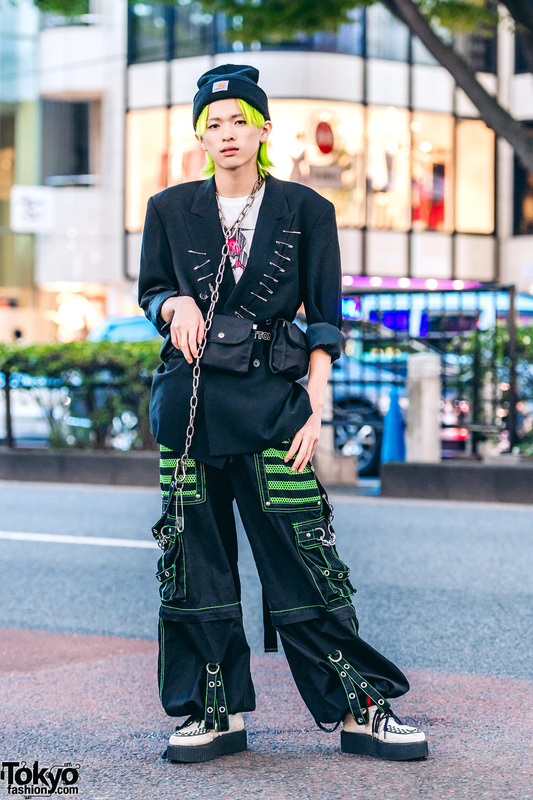 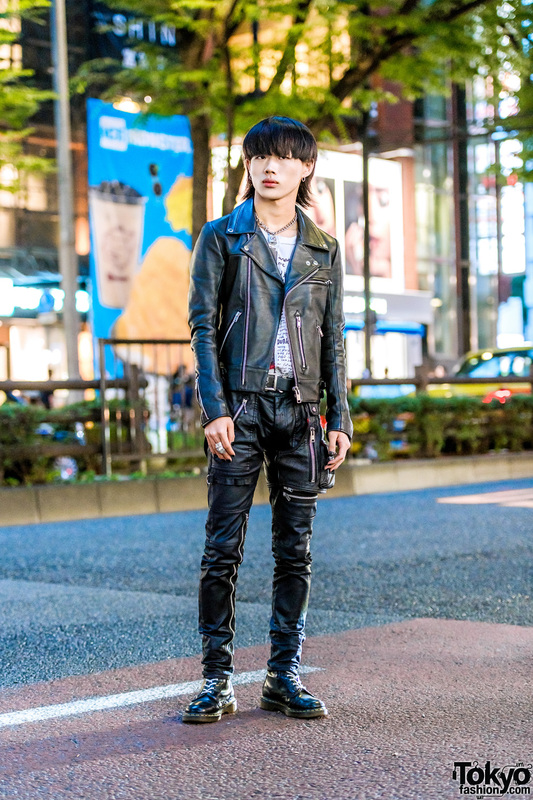 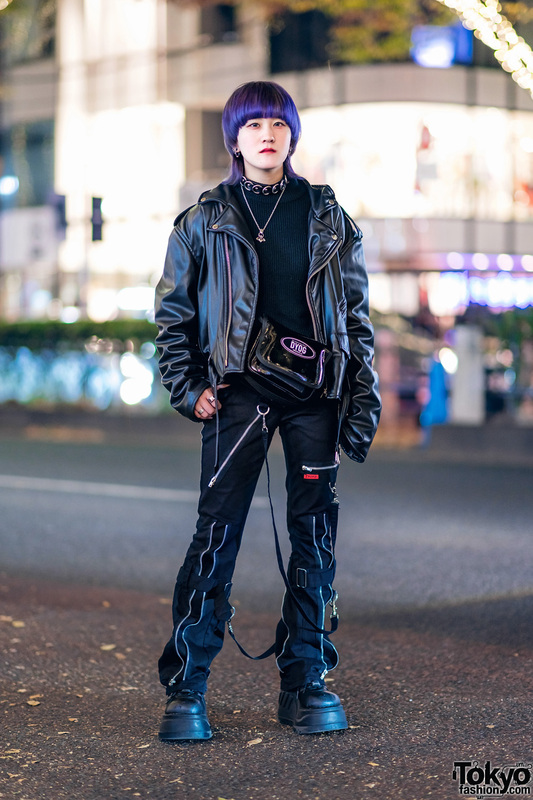 Japanese fashion college student wearing a punk outfit with leather jacket and pants, boots, lock necklace and armor ring. 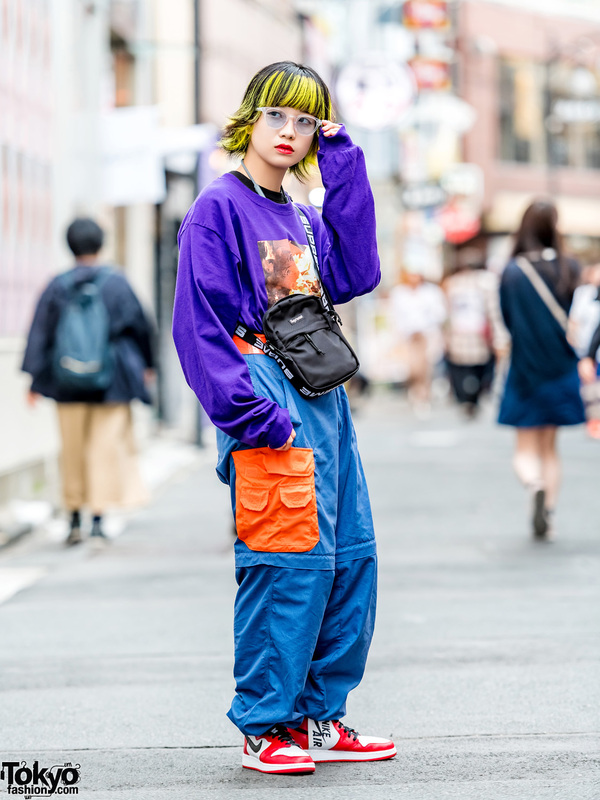 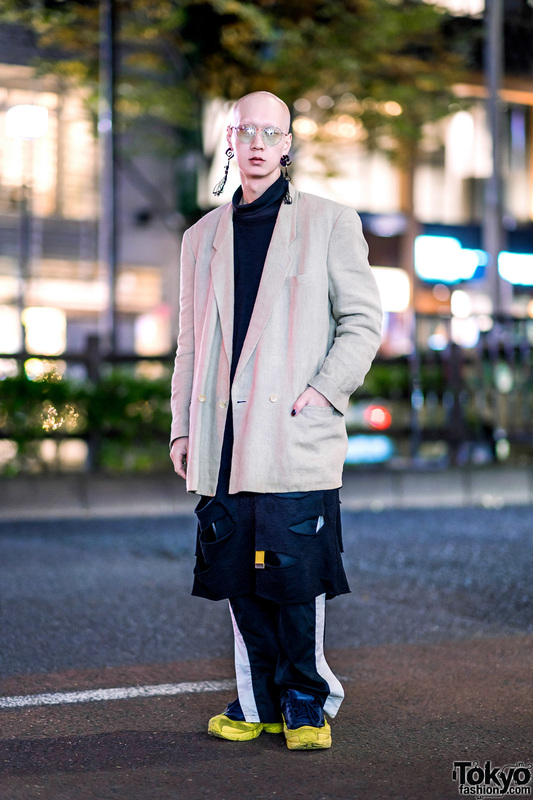 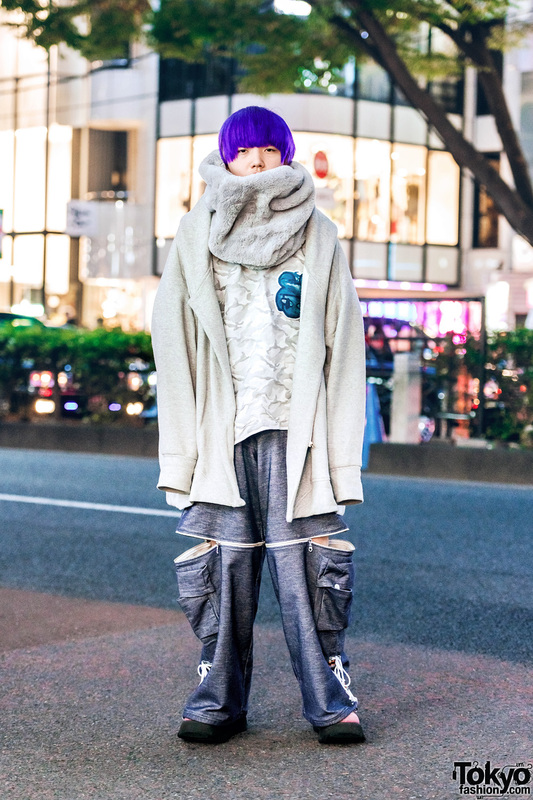 Colorful street casual look in Harajuku by Neo while out and about on the street. 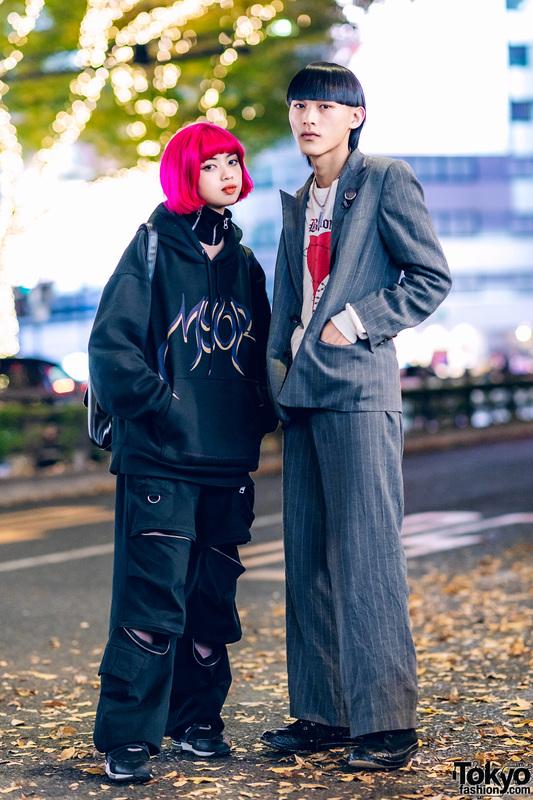 Harajuku duo’s edgy street stylings with cutout leather pants, blue hair, stunning makeup, and platform footwear.